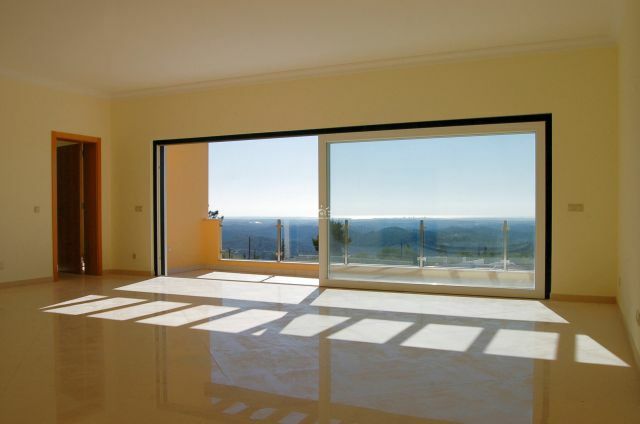 This south-oriented luxurious villa is located in quiet but sought after area near Caldas de Monchique offering an amazing panorama over the mountain side and towards the sea from its elevated location. 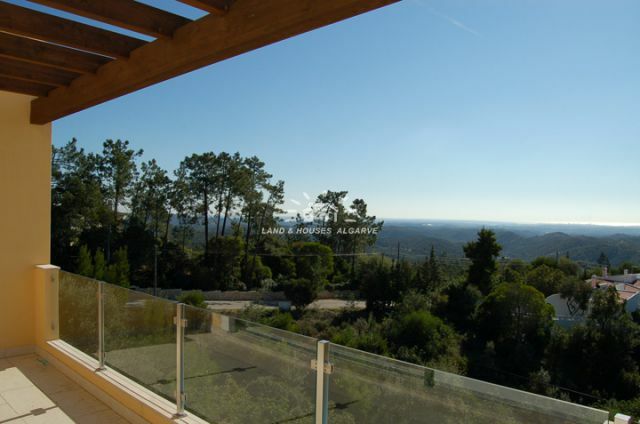 The 2000 m2 plot has a steep elevation with the villa build over several terraces with 275 m2 covered area and terraces of 171 m2. The property features an entrance hall, passage areas, lounge, dining room and 5 en-suite bedrooms with fitted wardrobes. Fully fitted luxurious kitchen with floors and worktops in natural sienito Monchique stone and white lacquered kitchen units. Suspended luxurious sanitary units in all bathrooms. Double glazed windows with thermal insulation and electric shutters. Heated overflow swimming pool of 10x5m. Under floor heating (on water) in living room, bedrooms and bathrooms. The villa benefits from a high quality luxurious Poggenpohl & Gaggenau kitchen, modern bathrooms, latest technology and top quality finishing?s. Pre-installation of air conditioning, system anti-theft, surround sound system, satellite dish and central vacuum cleaning system. 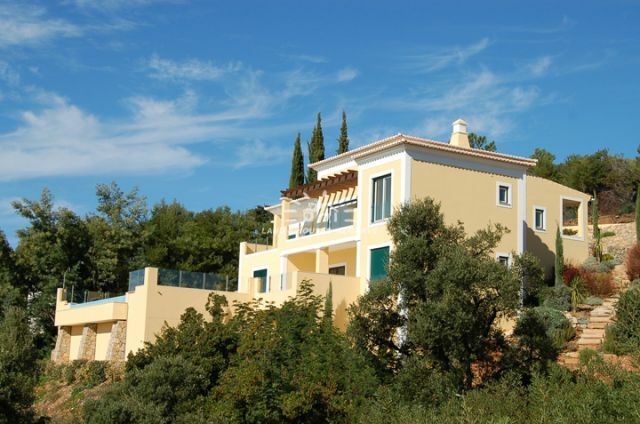 Fully landscaped and irrigated garden with several terraces surrounding the property. Plenty of privacy in a very relaxing environment. 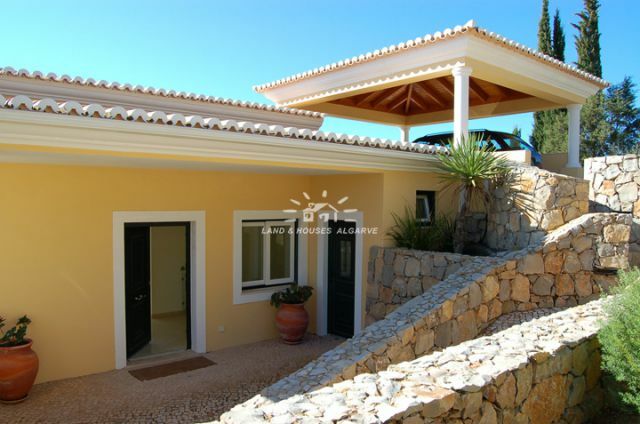 Close to all amenities of Monchique and only a short drive (approx 15 min) to Portimao. 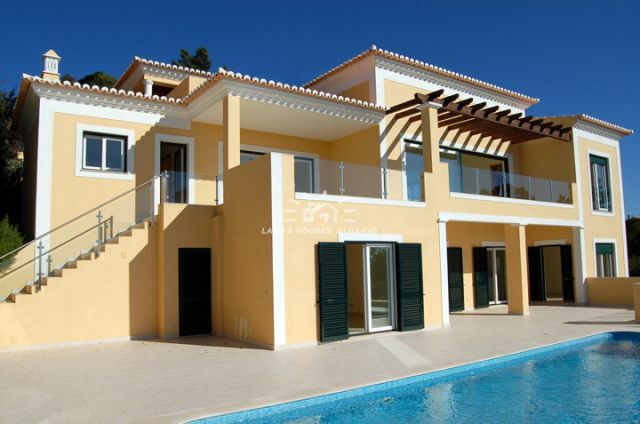 A truly perfect location for quality living!